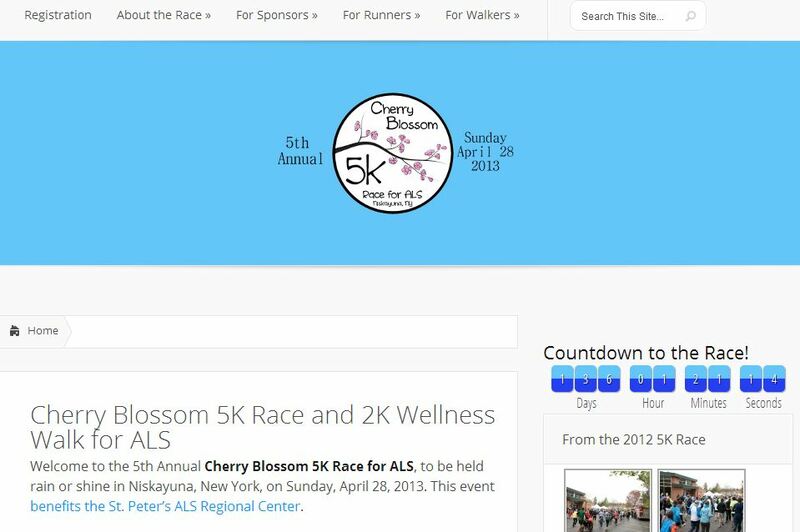 We designed a simple, functional and attractive WordPress website for the Cherry Blossom 5K Race for ALS. The site aims at attracting runners and walkers to an annual event to raise money for St. Peter’s ALS Regional Center. We use the Divi theme from ElegantThemes to deploy a mobile ready experience. The site includes social sharing, a sponsorship registration page and, through Divi, the ability to easily turn on and off elements on the homepage. The site is for a great cause. So check out the site and, while you’re there, register for the race (in the Spring time anyway)!